Aguapuro offers Deionizers to produce ultra pure water for various application including pharma, power plants etc. aguapuro offers these units as end use system as a post treatment with reverse osmosis unit or two stage reverse osmosis unit or with ro followed by dm plant. 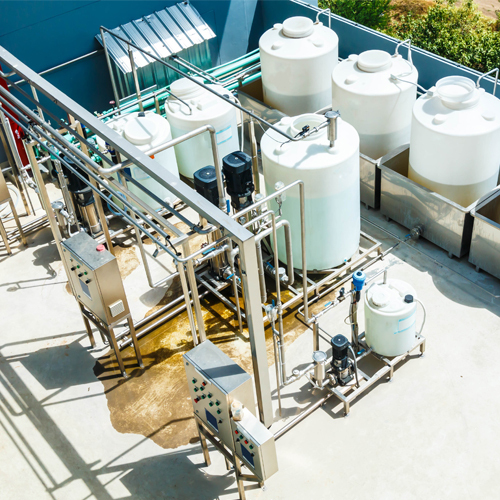 We are an eminent organization engaged in manufacturing, supplying, trading, wholesaling, distributing and exporting a quality-approved range of Wastewater Treatment Equipment. The offered range of equipment is manufactured following industry laid norms and guidelines. Our quality controllers inspect this equipment on certain parameters of quality.